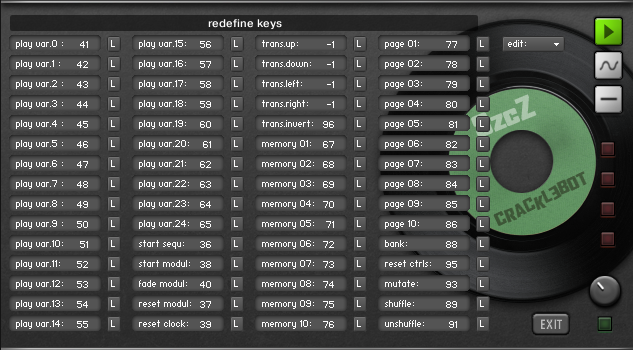 Cracklebot is automated drum machine based on vinyl noise samples. I sampled worn and dirty, empty grooves from my vinyl collection. Lead-ins, lead-outs, silent parts in between tracks, those have been chopped to 115 short slices or pops, crackles, scratches and noises. 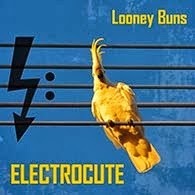 Cracklebot is sequencing them into tempo synchronized, noise grooves. 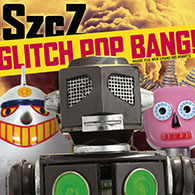 The machine can create new, random patterns on a single click, so it's quite fun play with. 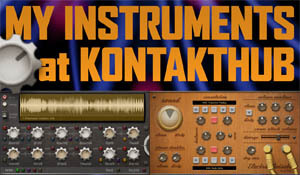 This virtual machine requires full version of Native Instruments Kontakt 4.2 or newer. 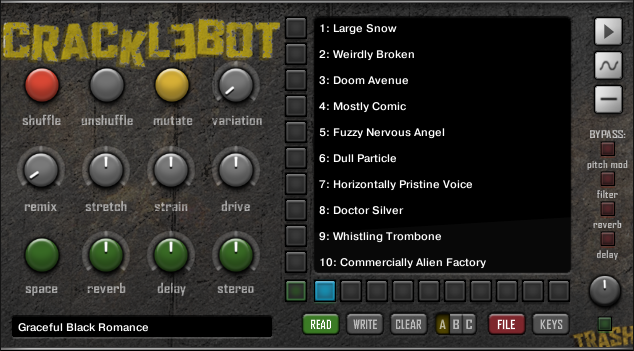 It's (Cracklebot, not Kontakt) free to download and use in your music. Right here - 4MB. Includes short confusing manual in funny English. Have fun. Unchained - with configurable sequence generators. Red and Violet - for ambiance cracklescapes. Thanks! As usual with your stuff, this is very cool.